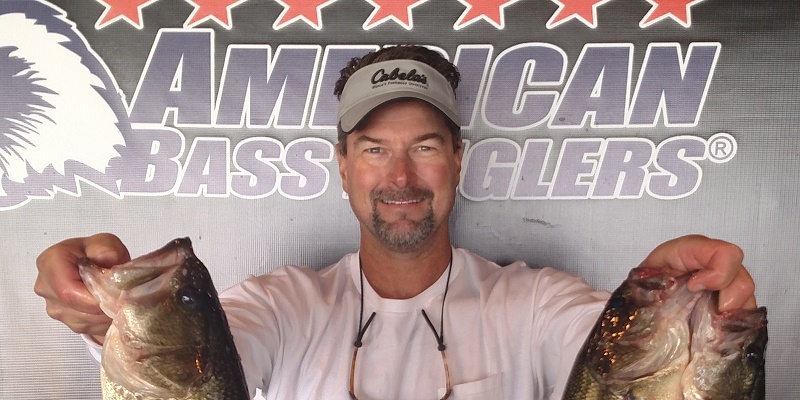 ATHENS, Ala. – Albert Collins of Nacogdoches, TX won the American Bass Anglers Open Series Area 6 Championship, held Oct 20-21 on Toledo Bend. Consistency is key to staying on top and Albert was able to put together 2 solid bags of fish under changing weather patterns and a very tough bite to stay on top of the Angler of the Year (AOY) race. 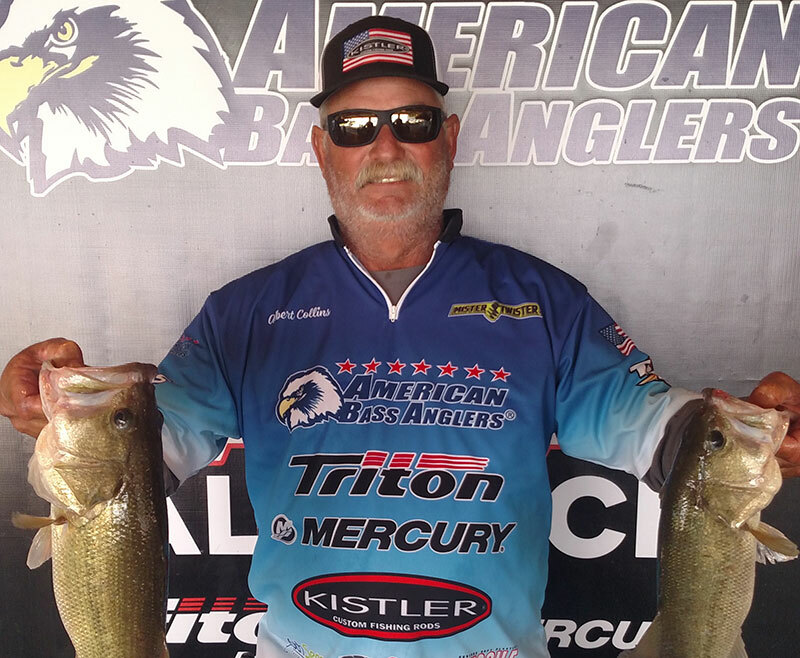 Collins walked away with a winning check for $10,000.00, Triton Gold honors, and AOY for division 10 of the ABA Open Series with his 2-day total weight of 26.38-lbs. Landing in second place on the boater side was Taylor Robbins of Conroe, TX. Taylor was one of 3 boaters that managed to bring in 2 limits of fish for a total of 24.31-lbs over the weekend. Coming in 3rd for the boaters was Glen Freeman of Zwolle, LA. Glen also caught two-five fish limits, his total weight locking in at 22.69-pounds. “We went up North in the wind and fished worms on deep ledges and points. I ran about 25-30 miles and it was rough up there. I stayed in the wind all day. You can’t feel the Northwindhere where we are, but it was blowing pretty good. Once you left out of here in the morning and got around the island it hit you right in the face. I culled 4 or 5 yesterday and 3 or 4 today. Some of the bites were hard to feel but the fish were there,” said Glen. 4th place for the boaters was Kevin Lasyone with 22.66-lbs, just .03 oz behind Freeman. In fifth place was Michael Brewton with a 2-day total of 21.92-lbs. 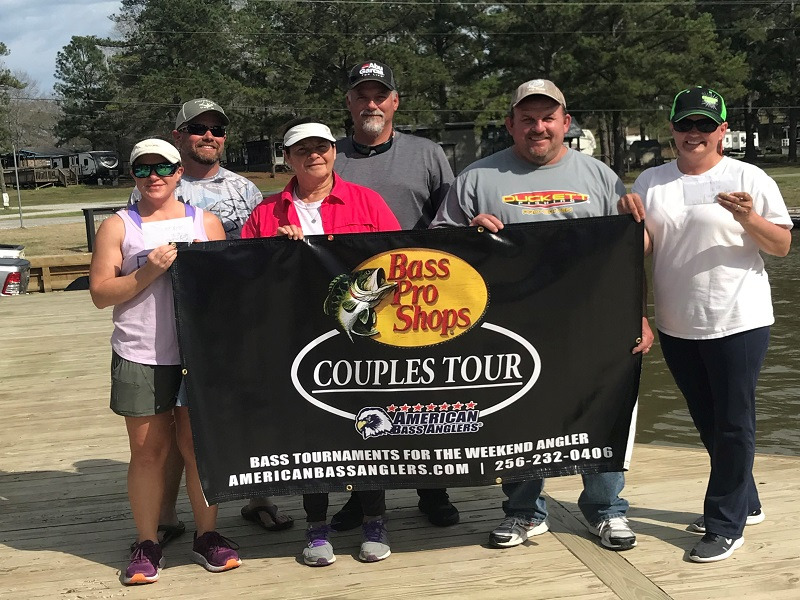 Michael brought in a stud of a bass from Toledo Bend on day one at 9.03 lbs which landed his big bass honors for the weekend, an extra paycheck, and the Abu Garcia big bass award-winning a new Revo X reel. For the co-anglers, Kevin Carter of Spring, TX was the only co-angler to catch 2 limits over the weekend. Saturday at 7.16-lbs and Sunday with 7.54- lbs for a 2-day total of 14.70-lbs; giving him just under a 5-lb margin of victory. For his weight, Kevin locked down the guaranteed $5000.00 check and the title of co-angler champion. “I fished with Kevin Lasyone today and we ran everywhere. We fished a lot of different stuff today. We fished docks, we went shallow, just everything. I had some fish early and he even loaned me some of the baits he was using, and I caught more fish. Today was a lot different than yesterday with the sun all day. We never saw it yesterday at all. It just rained and kept it gloomy. I had 2 good boaters, 2 good limits, and it kept me in the hunt. I had a great day and really enjoyed fishing with him,” said Kevin. Finishing in 2nd place was Mason Ouzts of Port Naches, TX. Mason did it the hard way fishing all day on Saturday for one bite, but it was worth it at 5.03-lbs. Mason then followed it up on Sunday with 1 fish for 4.80-lbs. His 2-day total was 9.83-lbs and put him in 2nd place overall. 3rd place honors with 5 keepers brought in over the weekend was Michael Nantz of Ben Wheeler, TX with a total weight of 9.64-lbs. “Tough weekend. I needed one more keeper to have my 6-fish for the tournament, but they just wouldn’t cooperate. I know the lake is fishing tough but it can’t be easy or we would all be fishing. Yesterday was a good day and when I came on stage I thought I had a decent bag, then you told me I took the lead. I was amazed. I know you told me it had been tough on everyone, but I was expecting to be somewhere in the top 10, not leading. Today the sun was out, and I just couldn’t get the bites that I needed. It was cooler out, bright, and just after a front that’s never good,” said Michael. Finishing 4th was Brian “Gunny” Schuler of New Orleans, LA with a total of 8.38-lbs. Joseph Williams of Bridge City, TX finished in 5th place with 7.87-lbs. 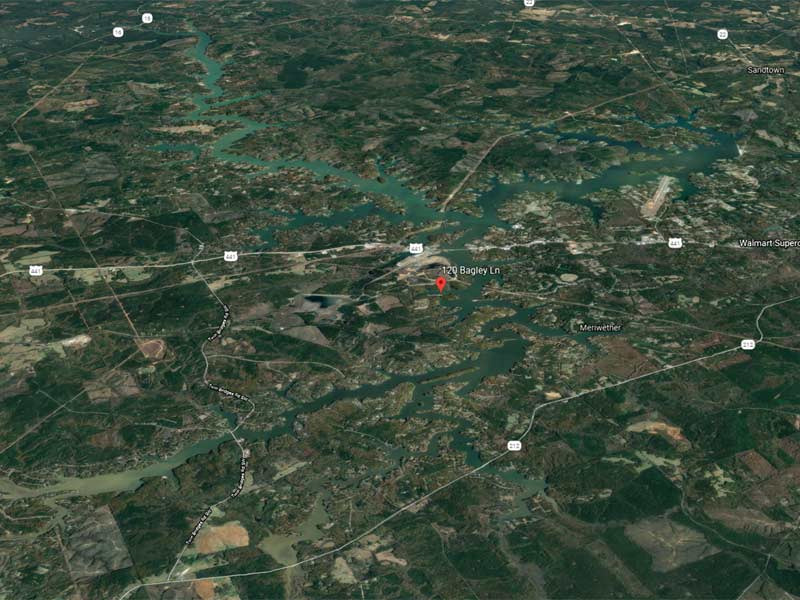 The top anglers from this event advanced to the 2019 Ray Scott Championship, slated for the first week of April 2019 on Lake Eufaula, AL. For more information on this tournament, call Chris Wayand, tournament manager, at 256-230-5627 or ABA at 256-232-0406. Online, see www.abaopenseries.com .